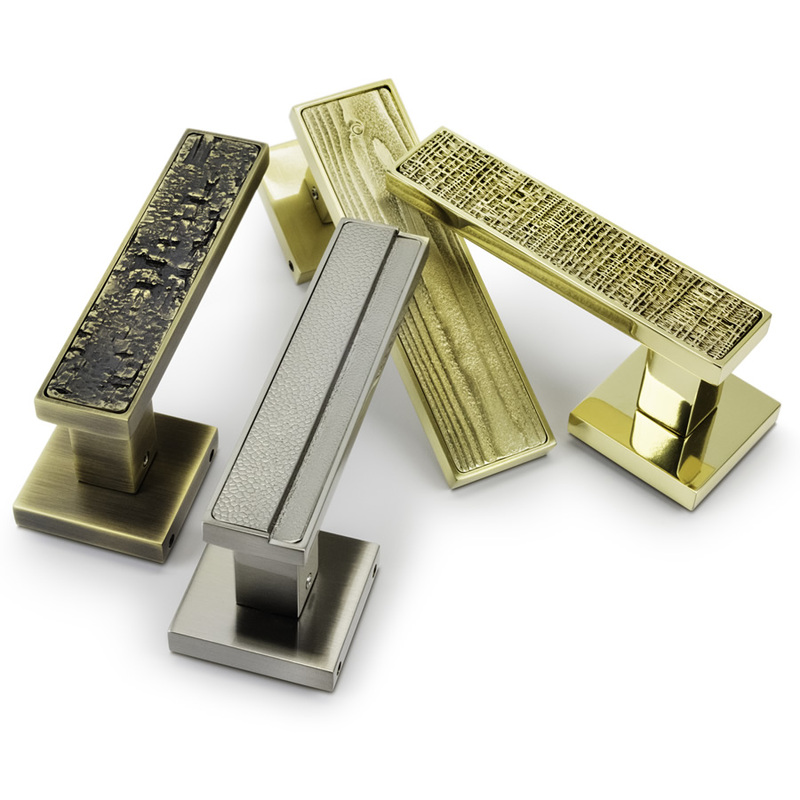 Our handles are designed as families - or suites - of products, destined to be combined in the same room on doors and furniture, kitchens cabinets, vanity units, shower enclosures etc. A decorative pattern is applied to a variety of formats, to handles serving complementary purposes: doorknobs, either fixed or turning, lever handles, cabinet knobs usually available in several sizes, furniture handles or pulls. Statement handles in larger formats for double or entry doors generally complete the set, as do smaller plate handles for cabinets, and recessed handles for pockets doors.